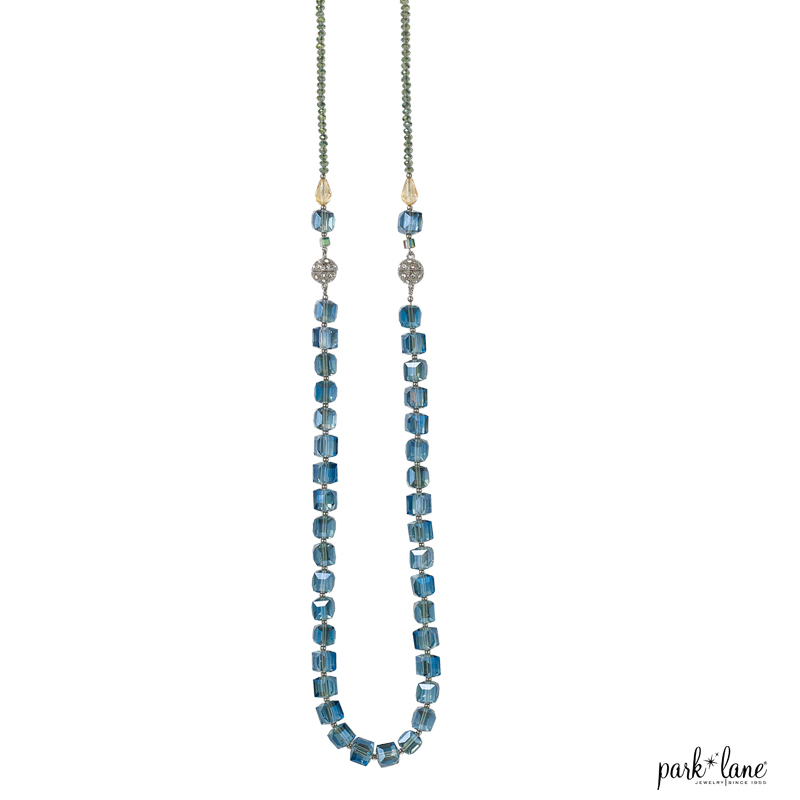 Crystal-encrusted magnets connect a strand of iridescent topaz and opal glass cubes to a strand of glass beads. Wear 18” strands separately or attached (36”). Specify topaz. Also available in smoky gray or blue. Bracelet (sold separately) can be attached to necklace(s) to lengthen.